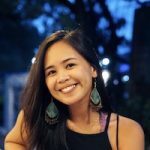 If you’re planning a trip to Ho Chi Minh City (still known to many as Saigon), you’re more than likely in it for the gorgeous historical and cultural sights, steaming hot bowls of pho, and your fix of authentic Vietnamese coffee. What you might be surprised to find is that the city, an eclectic mix of traditional and modern elements, is home to some of the most interesting and beautiful residences—some hidden behind the most unexpected facades. Instead of stumbling into a hotel room after a tiring day of sightseeing, why not opt to live like a local and come home to one of these gorgeous Airbnbs? An added bonus: more often than not, Airbnb hosts are happy to help you find your way around the city! We’ve narrowed it down to 10 wallet-friendly options based on location, design, and amenities. We don’t doubt you’ll have a tough time just choosing one! 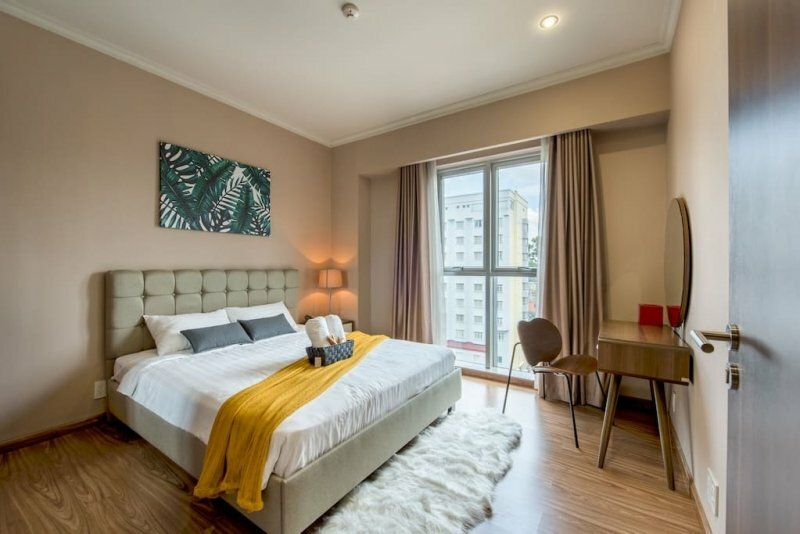 Just walking distance from some of Ho Chi Minh City’s best, this serviced apartment was designed to provide guests with a luxurious home away from home at an affordable price. Perfect for solo travellers, couples, and small groups, this one-bedroom apartment comes with a living room, kitchen, dining area, and laundry room—not to mention free gym access! The apartment’s superhosts are often commended for their warm hospitality and ready assistance—they even provide complimentary airport pick-ups for certain arrival times! 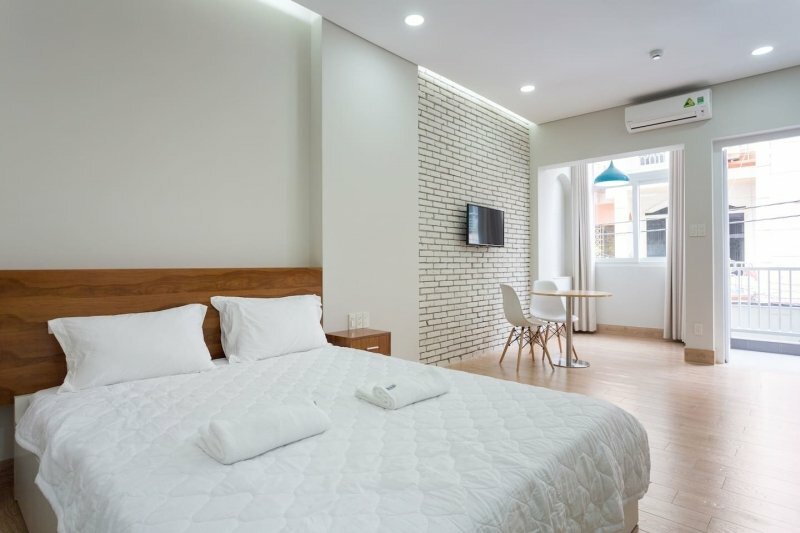 This spacious accommodation in the heart of Ho Chi Minh is commended for its perfect location: right by the action, but isolated enough from the loud city noises. At first glance, you might notice its bare, minimal design—but don’t be fooled, this apartment is equipped with everything you might need: a comfortable bed, sofa bed, and private kitchen. The building also has an available laundry area for those who wish to use it. If you opt to rent a motorbike, this listing also provides guests with free parking access! Superhost Peter and his co-host Thanh are more than happy to assist their guests, and are open to hosting long-term stays. Guests are sure to love this apartment for its tasteful decor, generous living space, and overall homey feel. Despite its central location, this listing prides itself in providing a laidback escape from the hustle and bustle of the city. Perfect for travellers who value their time indoors as much as their time spent sightseeing. The accommodation provides even those working on vacation with the peace and quiet they need. Another reason to book this Airbnb? It sits a few floors above a delicious pho restaurant that’s said to keep you coming back for more. Take note that guests should be prepared to walk and carry their luggage up the stairs, as the studio apartment is situated on the top floor, and the building does not have an elevator! The gracious hosts, of course, will be providing assistance to those who need it. A crowd favourite, this Instagram-worthy apartment just steps away from the city’s main attractions is the epitome of chill. 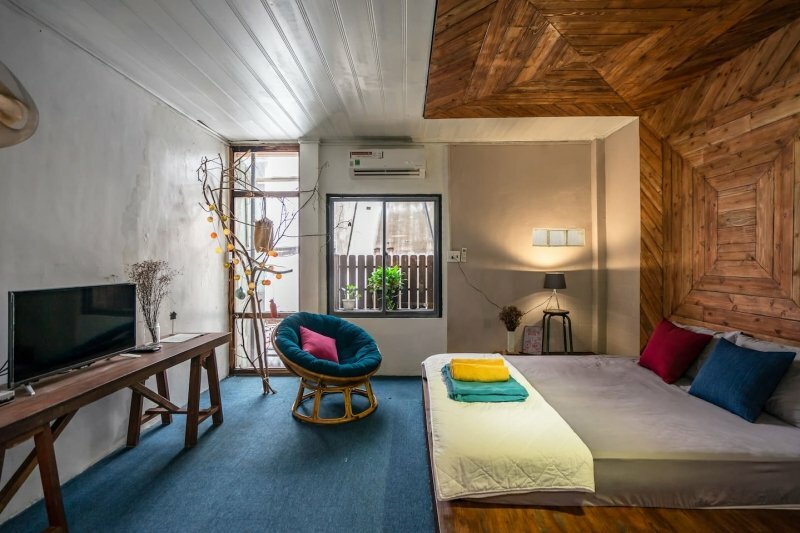 With two queen beds and a sofa bed, this listing can comfortably house five guests—you’ll want to rent this accommodation if you’re travelling with a group of friends, as you’ll definitely be getting even more bang for your buck. In addition to its industrial interiors and cool warehouse vibe, guests will love that the apartment also comes with a stellar sound system, a 52-inch TV (with ChromeCast and Apple TV available for guest use), and an iMac with high-speed internet. Another plus: it’s notably located above a steak restaurant, and right next to several cool coffee shops! Ideal for families, groups of friends, and travellers who like their space and privacy, this listing has two bedrooms, a living room, a kitchen, a dining area, and a laundry area. Owned by a former stylist, each of the rooms in this four-storey home is tastefully decorated. Guests are sure to live comfortably, with bathrooms on each floor, and a balcony in each of the bedrooms. Superhosts Ada and Dung are friendly and accommodating, and are more than happy to help you navigate your way around Ho Chi Minh. They even provide guests with a warm welcome and a refrigerator stocked with bread, jam, ramen, and refreshments! Just a short walk away from local supermarkets, cafes, and restaurants, the residence is an easy Grab ride away from Saigon’s tourist spots. Situated in an old French building, this three-storey loft is like a childhood mattress fort come to life. 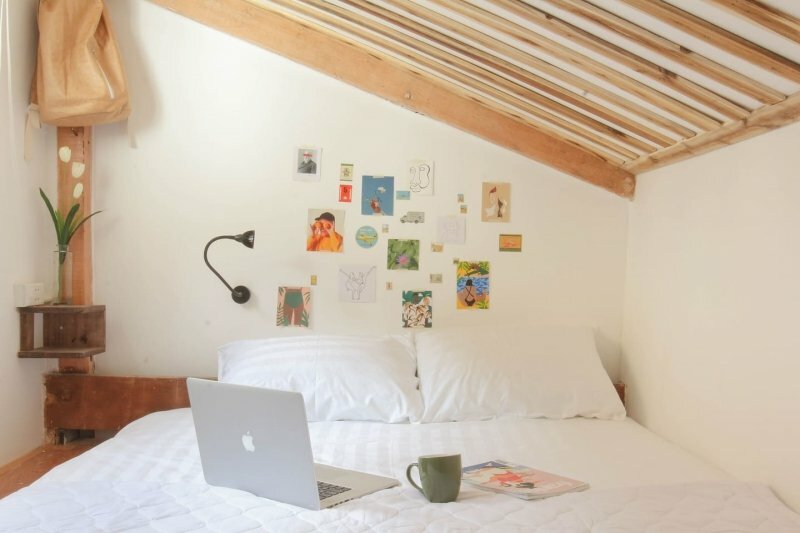 Climb a little ladder to get to the third-storey attic, where you will find a cosy and beautifully decorated bedroom. Below are a generous lounging area (equipped with a TV that has Netflix!) and kitchen with a little breakfast bar. Reviews note that it’s a bit of a climb to get to the apartment—but the rooftop view is definitely worth it! The listing is in a central location that's just walking distance from the night market, convenience stores, and tourist spots. 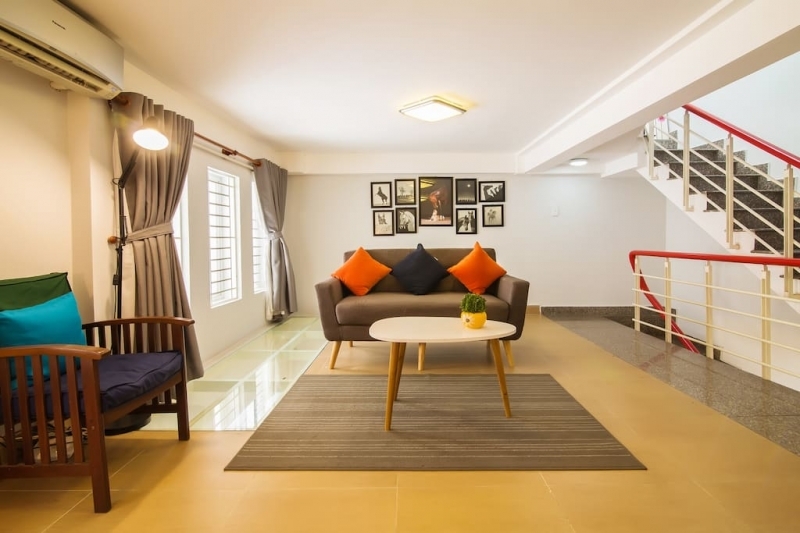 Get a hotel experience at this serviced apartment, praised for its being spacious, clean, and comfortable. The listing’s superhost has worked to make sure that guests get their money’s worth, offering a luxurious stay at an affordable price. In addition, the kind host is known to be dedicated to making sure her guests enjoy their stay—not hesitating to help with directions and tips on sights to see and places to eat around the city. Despite being located at a peaceful street, the apartment is walking distance from almost anywhere you might want to go! Hidden behind an unassuming facade (not unlike your favourite speakeasy bars), this vintage abode sits in the middle of busy Saigon. Perfect for solo travellers and those who travel in twos, this spacious apartment’s beautiful interiors and cosy upstairs balcony make for the perfect retreat after a full day of sightseeing! Larger groups are welcome to rent out multiple apartments in the same building. Its central location allows you to reach the city’s tourist spots, restaurants, shops, and Ho Chi Minh City’s nightlife by foot. 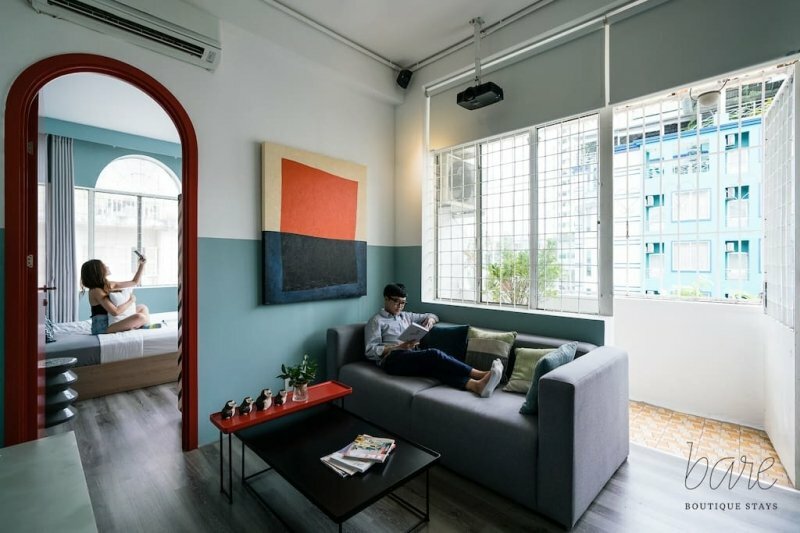 Nestled in an old building that boasts of Saigon’s traditional architecture, this modern and chic one-bedroom apartment comes with living and dining areas, allowing guests to create a little home of their own in Ho Chi Minh City. A leisurely walk or short drive away from the city’s main attractions, this listing is right around the corner from several street food vendors and the local wet market. On lazy days, the apartment makes for the perfect venue to Netflix and chill—the apartment’s amenities include a big projector perfect for cosy nights in! 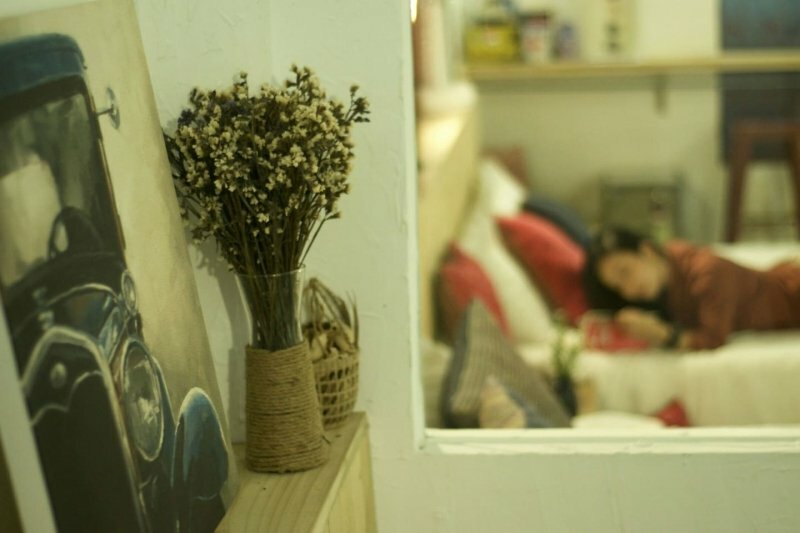 The Red House is a cosy, stylish retreat tucked away in a quiet residential area in Ho Chi Minh City. With two big beds, a kitchen, and dining area, this house is ideal for small groups of friends or families. 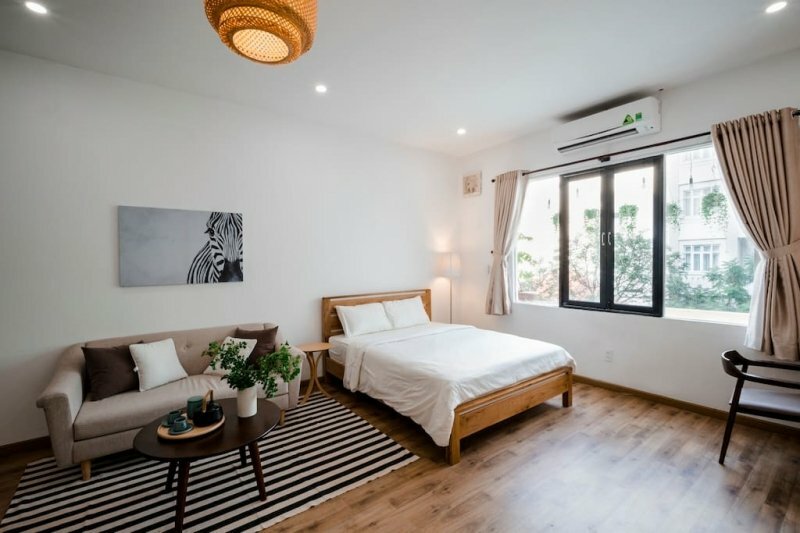 Situated close to Ben Thanh Market, the museum, and countless shops, restaurants and cafes, the house’s location will surely allow you to save up on extra travel expenses! Living close to a bus stop, you can easily venture to other cities in Vietnam and Cambodia. Hundreds of positive reviews commend this listing for its location, cleanliness, warm ambience, and amiable host, Aunt Nga, who makes guests feel right at home. 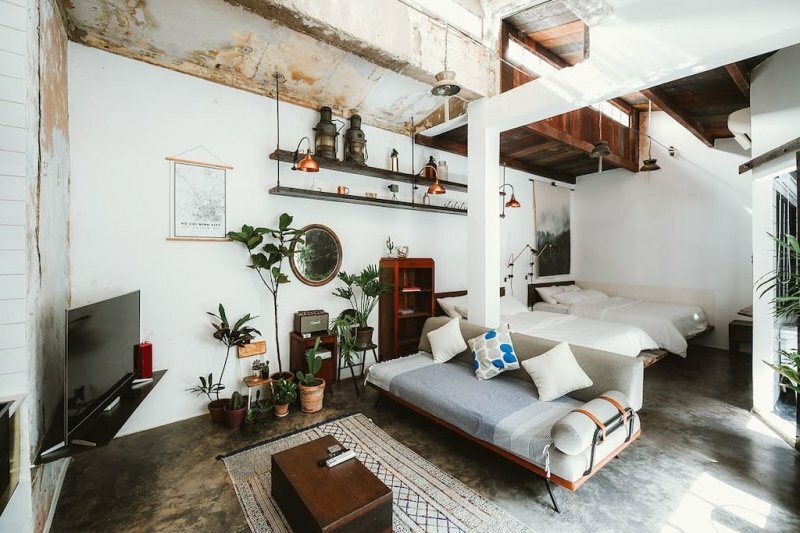 While you might be coming for the food, shopping, and sights, we wouldn’t be surprised if you found yourself wanting to come back for another chance to live in one of these beautiful Airbnb homes in Ho Chi Minh City.